Jaime Hayden has been in the baking industry since 2011, but has been in the business of baking since she was a little girl with her grandmother. The wedding industry wasn’t necessarily the first career path Jaime chose. With her masters in degree in school counseling, to becoming a teacher, she was apart of a much different profession. A passion for art and design has been a large influence in her baking creativity. 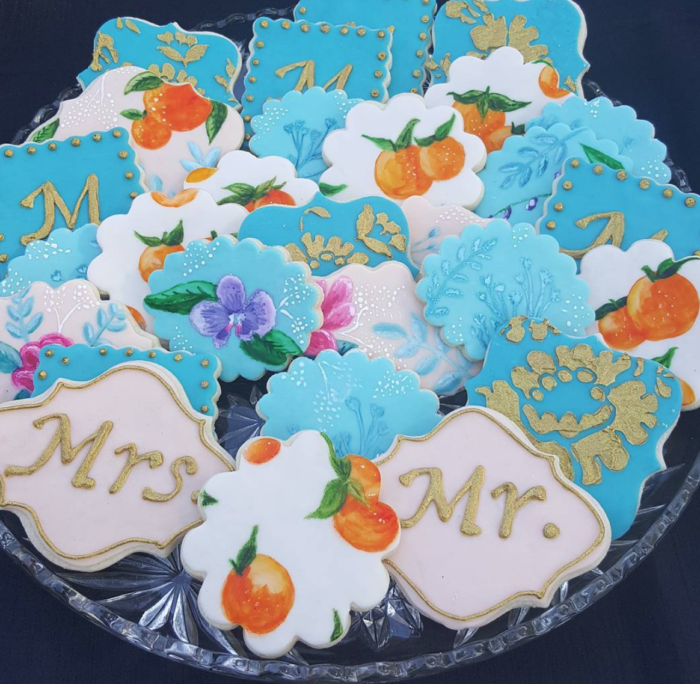 Through her background in art, and passion for baking, she is able to create beautiful pieces that are a reflection of her talent and the clients she is working with. It is no shock that Jaime Hayden is one talented cookie (she makes a heck of a cookie, as well as cakes)! 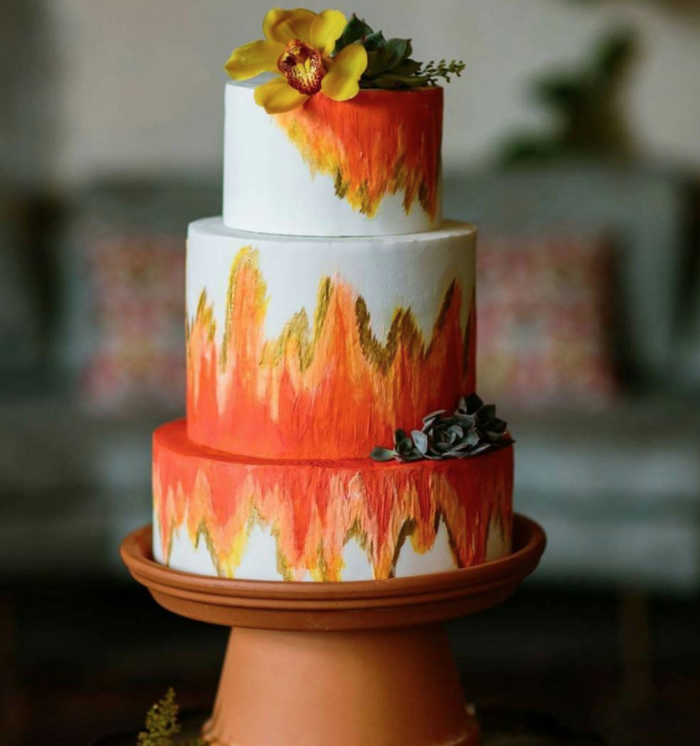 Jaime makes sure to go above and beyond what her clients ask for by incorporating what they love into the desserts; and she loves when her clients can challenge her in design and flavor choices. Who wouldn’t love a lavender and almond bundt cake, or a green tea sponge? Jaime states that challenging yourself and going outside of the box is important in this industry! One thing that truly sets Hayden apart is her dedication to providing the best experience for her clients. 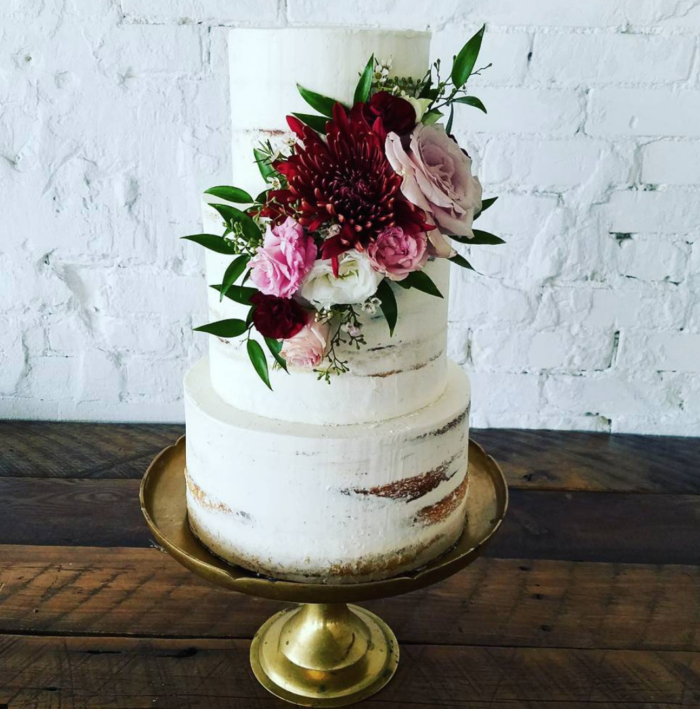 When ordering a wedding cake, customers can expect Jaime to also include an anniversary cake as a gift for their special day. “Its little things that make the interaction with my couples special.” How thoughtful is she?! Having been a teacher, it’s only fitting to learn from Jaime! She notes that it can take upward of 36-72 hours to plan, create, bake and decorate a cake for a customer. To those getting into the industry, she reminds them to practice and practice some more. Once the technique is down she reminds bakers to charge for their talent and time (this is your art)! 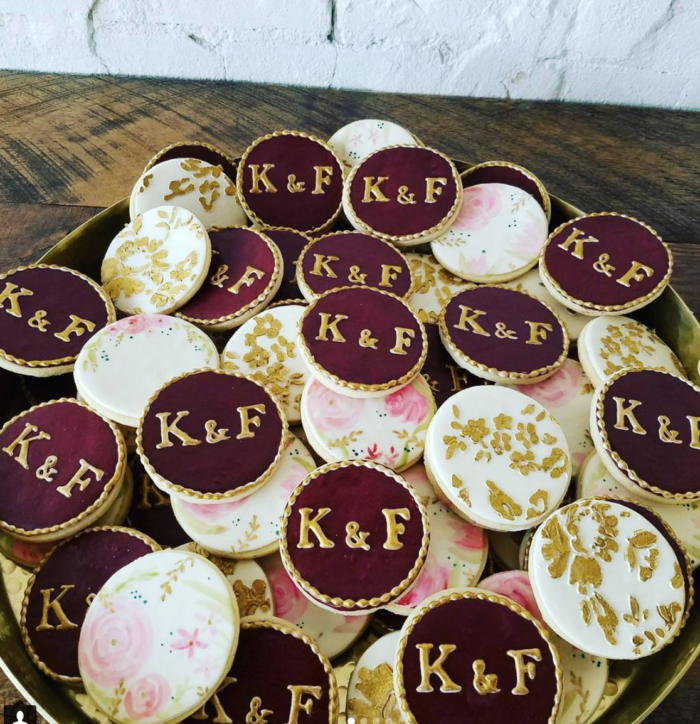 We still dream about these delicious cookies from K+C’s big day! They were positively delightful, just like their baker.